The unit isn't officially hacked as of yet, but this is the first step to jailbreaking the four-month-old console. When a new piece of hardware is launched, hackers see it as an open invitation for them to dive in and try to find a way to break the device for pirates and emulators. 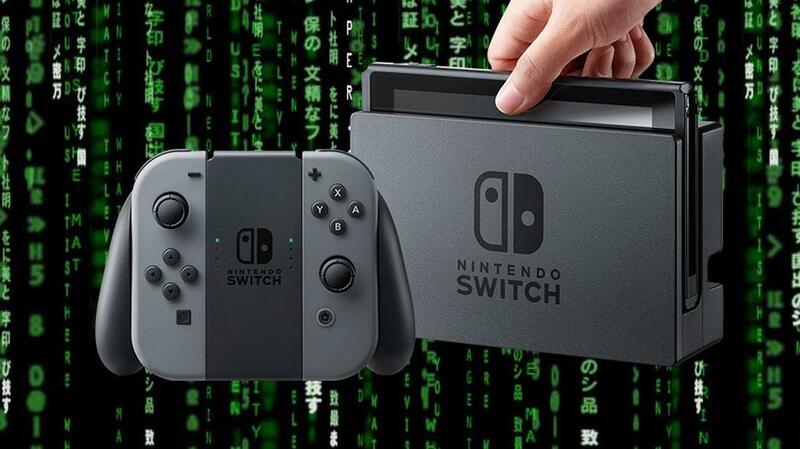 Now it appears those hackers have stolen the diaper off the infant Nintendo Switch, offering a massive dump of the console's OS kernel. "Vulnerability researcher" and Nintendo fan derrickr6 tweeted a vague "we got the kernel", tossing plaudits to fellow hackers @qlutoo and @ylws8. Qlutoo in turn posted an image of what appears to be a dump of the kernel. Ylws9 followed that up with an explanation that dumping the kernel doesn't not mean the console has been "exploited." However, it is indeed the first step to officially jailbreaking the unit and is a significant breakthrough past Nintendo's custom OS. There is still some work to do, provided Nintendo isn't already working to plug the vulnerability of the four-month-old handheld hybrid. The kernel is the bridge between hardware and its apps, and being able to access that will allow others to manipulate the OS with the nefarious purpose of pirating and emulation. Hackers have successfully broken the 3DS, with homebrew emulators and piracy fairly rampant, despite Nintendo's best efforts to stay ahead of the hackers. In April, Nintendo offered $20,000 to anyone that could successfully hack the Switch and expose its security holes. It isn't clear if this team of hackers is trying to grab the bounty, or if they are doing it to fuel the potential black market of bootleg software. However, Nintendo may already be one step ahead of the game, as it has been revealed that an NES emulator is buried in the Switch code. That could be there in advance of the launch of Nintendo's paid online service early in 2018, which already promises a "classic game selection." Either way, it is a race now to see whether the hackers will use the kernel dump to finally exploit the Switch before Nintendo can close the hole and continue to expand the console's reach through legitimate un-pirated means. Wait the 3ds has been emulated too? Been cracked and re-cracked a lot although going online with a cracked one now is quite liable to get your 3DS permabanned. A firmware update just went out and was insta-cracked but again, not sure about taking it online.